a video about the kick-off press conference. 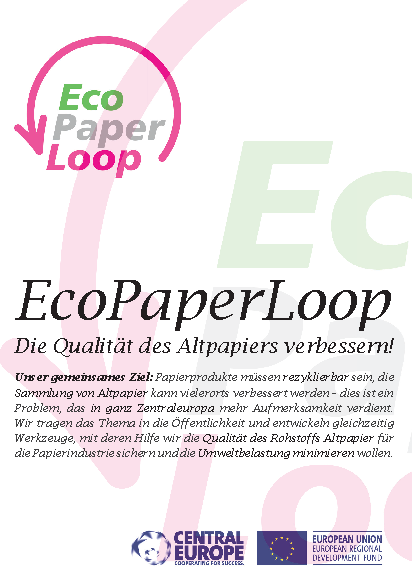 ... has a two-page feature about EcoPaperLoop: Find the full feature online here. 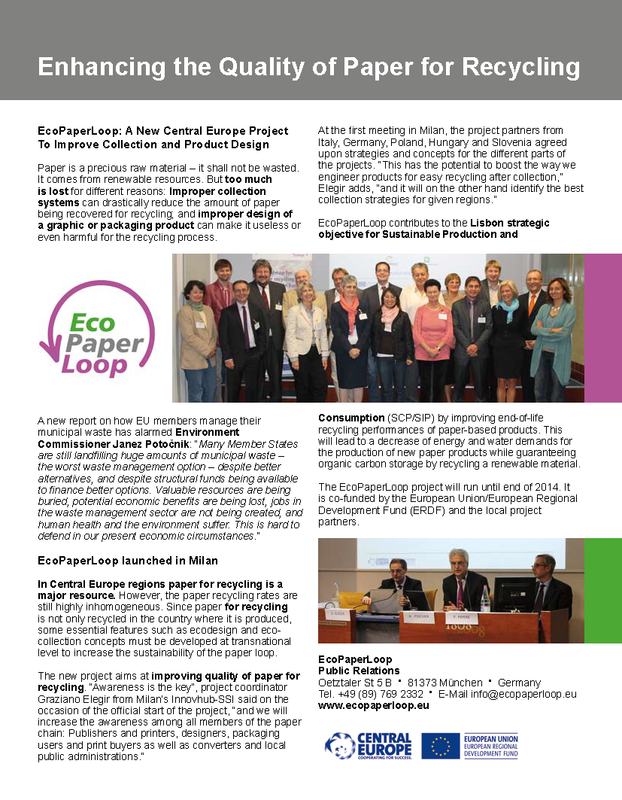 ... on the occasion of the European Paper Week has an advertorial (paid content) about EcoPaperLoop. 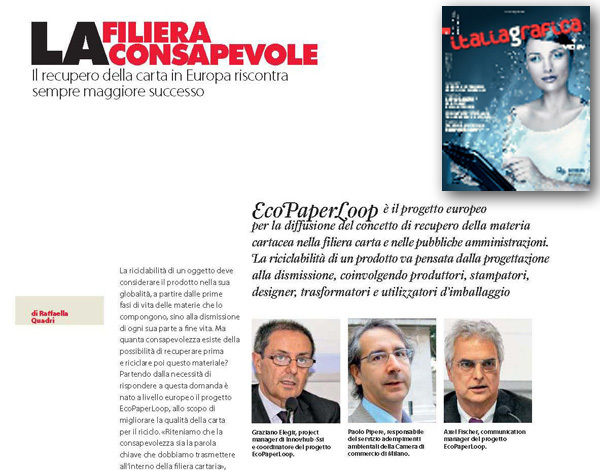 According to themselves, The Parliament Magazine is the magazine for the European Parliament and European Commission. It is distributed once every two weeks to all Members of the European Parliament, senior members of the Commission, the Council and various EU institutions. We have a hard copy distribution of around 4,000. Additionally, the digital magazine is distributed to 50,000 contacts including journalists worldwide, the public affairs contacts from EPAD (European Public Affairs Directory), TheParliament.com bulletin subscribers, from EU officials/Commission staff to public affairs consultants. They have an editorial board which consists of MEPs. 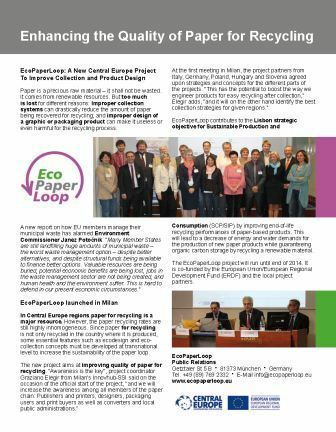 In the past parliamentary year, we have received editorial contributions from over 200 MEPs and 19 of the 27 EU Commissioners. 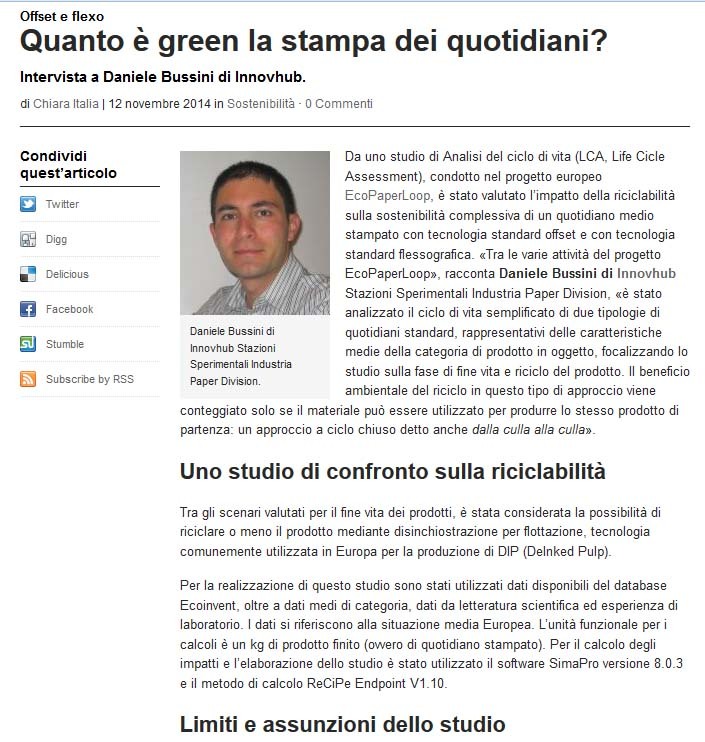 Sviluppo Sostenibile: Carta da riciclo: come migliorarne Ia qualita? If you have any questions or find more, do not hesitate to contact us!